Over 100 years ago, in 1906 Southfield school first opened its doors to pupils from Chiswick and the local area. Since then it has evolved to become the happy, friendly and thriving place to learn that it is today. The Edwardian building on Southfield Road, Bedford Park offers a glimpse into the style of education offered at the turn of the last century with three separate entrances for Infants, Junior Boys and Junior Girls. Today the school is home to more than 440 children and reflects the diversity of our local community. For every child, we aim to provide a happy, nurturing community which inspires them to learn and to be their best. •to provide more opportunities for child-initiated activities across the EYFS curriculum. 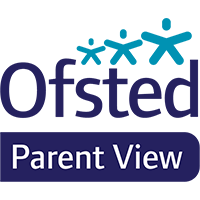 Our website demonstrates the many ways in which we enjoy learning and answers most questions parents have about our school. If you don’t find the information you’re looking for on our site please contact us directly. Well done Kew for keeping in the lead. Remember – you get house points by following the Ready for Learning Goals.